Today we begin a Summer Series on the A B C’s of Theology. Atonement is one of those rare words that actually works in English: people often utilize the at-one-ment memory device. 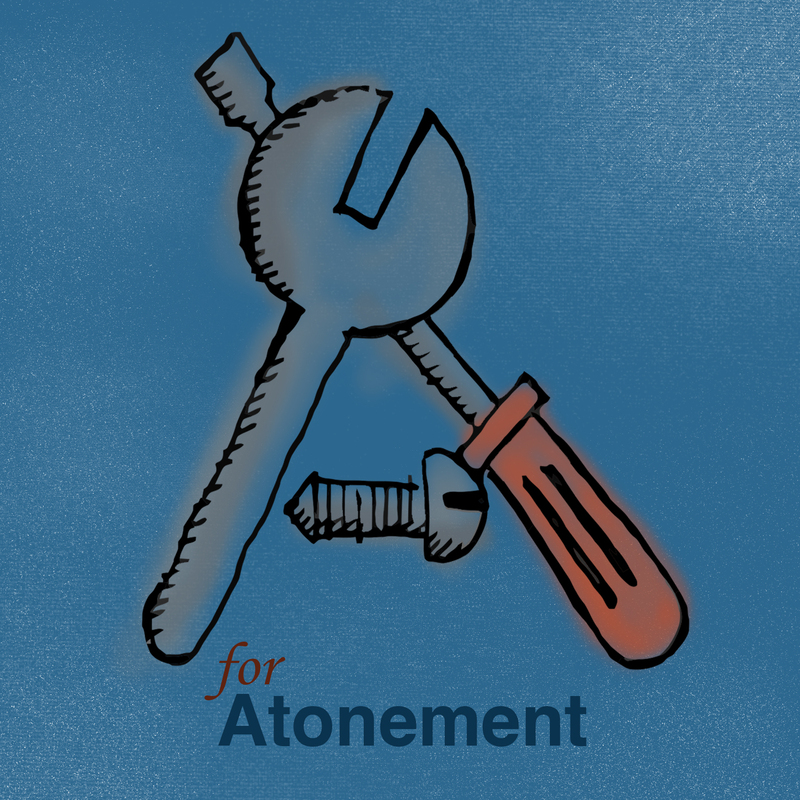 At its most basic, atonement simply means the re-pair of something that was broken or separated. Specifically here, we are saying that something had come between humanity and God – this is usually called ‘sin’ ( or separation). ?Something was wrong. Whether you talk about humanity having lost its way, or being lost, falling into sin, or under a curse … atonement is that work of God in Christ that changed-fixed-repaired-healed-forgave the problem. This is where it gets more complicated. Neither the Bible nor the early churches’ creeds state or take a stance on an atonement theory. For as important a topic as atonement is, it is significant that no definitive stance is required. 1) Many varieties of atonement theories have emerged, and subsequently evolved, throughout church history. The theories all use different word pictures. Depending on what you paint the problem as, the work of God in Christ will take on different metaphors. Some use a courtroom, some a battlefield, others a dungeon (prison) and still others an exemplar motif. The earliest theories are labeled ‘Ransom Theories’. My favorite is the ‘Fish Hook’ where God lures Satan – who has captured humanity – by offering the human Jesus as ‘bait’. The devil takes the bait and Jesus is killed … but the devil is surprised that inside the ‘worm’ of Jesus’ humanity is the ‘hook’ of Christ’s divinity and the devil is caught! Easter morning is thus the undoing of both Satan and death itself. This kind of motif can also be in C.S. Lewis’ the Lion, the Witch and Wardrobe. Later generations (and European ones) did not like that God would have to ‘trick’ or bargain with the devil. This lead to a developing of some other theories that had been around. Christus Victor and Substitutionary theories are two examples that remain popular to this day. Substitionary models are a particularly interesting example because in the second millennia of church history you can see a profound evolution of different models which line up (and are born out of) out of. You can watch the Feudal (honor) era change with the rise of legal, economic, and civil developments during the Enlightenment and Protestant Reformation. The past century has seen the rise of two alternative (and very different) theories. One is called Moral Influence theory. Jesus models for us (exemplar) and life lived for others and to God. Moral Influence has the added attraction (to many) of not being so bloody. It is the favorite theory of many within the liberal or mainline branches of the church for this reason. My favorite group of theories are the Anti-Violence branch. Jesus is killed unjustly and willingly submits to this fate in order to unmask the ‘powers the be’ and expose the fraudulent structures of sacrifice and scape-goating that both nations/empires and religions utilize in order to preserve their position of power. Recent books like ‘Saved from Sacrifice’ and ‘The NonViolent Atonement’ have helped make a new generation aware of alternatives to those that make God seem like a weakling or which paint God as a child-abusing monster with split-personality disorder. 2) Some groups have become so fond of one theory over another that they begin to say that theory is the the only adequate way to understand the work of Christ. Some ‘Reformed’ camps have done this with the Penal Substitutionary Atonement (PSA) theory. This has led to some evangelical camps claiming that PSA is THE gospel. The above points are why we need to introduce another ‘A’ word: adiaphora. Adiaphora is a very old concept (ancient Greeks) that came center stage during the Reformation. Initially it meant ‘non-essentials’ and refers to practices that are neither forbidden NOR commanded in Scripture. Now it more generally refers to topics that are not specified in scripture. I would put ‘Atonement Theories’ in this category. Admitedly that is a difficult and odd thing to do! One would think that the Cross of Christ and the implications of Easter – which are so central to the Christian faith – would cause it to matter deeply what one believed about its structure and effectiveness. Unfortunately, as much a folks are willing (and eager) to argue about different theories (I am one of them), neither the Bible nor Creeds specify a particular theory and with the historical evolution of so many elaborate options … it looks like this will continue to be a lively conversation for a long time to come. Triune Atonement by Andrew Sung Park ($10 on Kindle) our interview with Park is here. You can also listen to my interview with Michael Hardin from this past Easter.